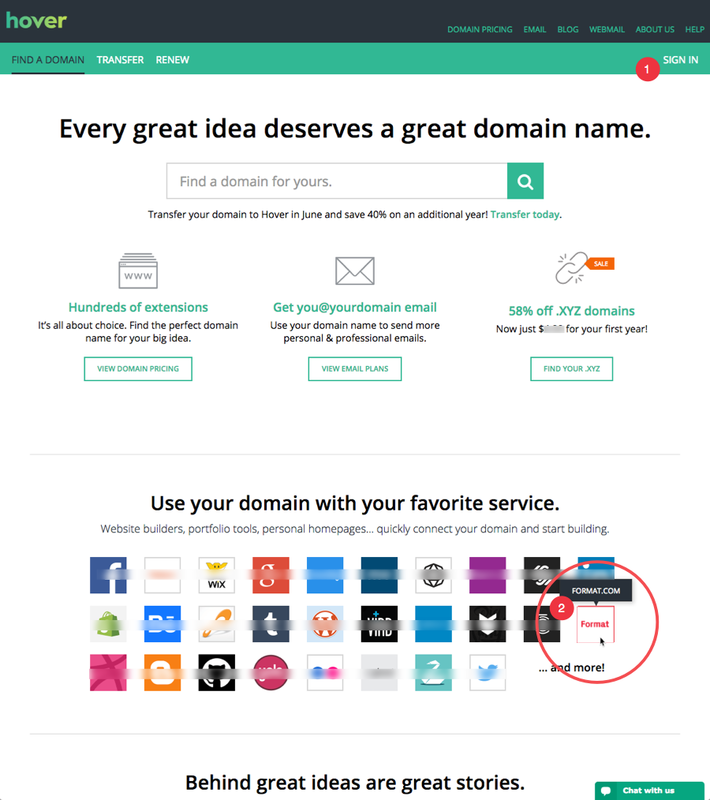 Connect an existing Hover.com domain to your site. 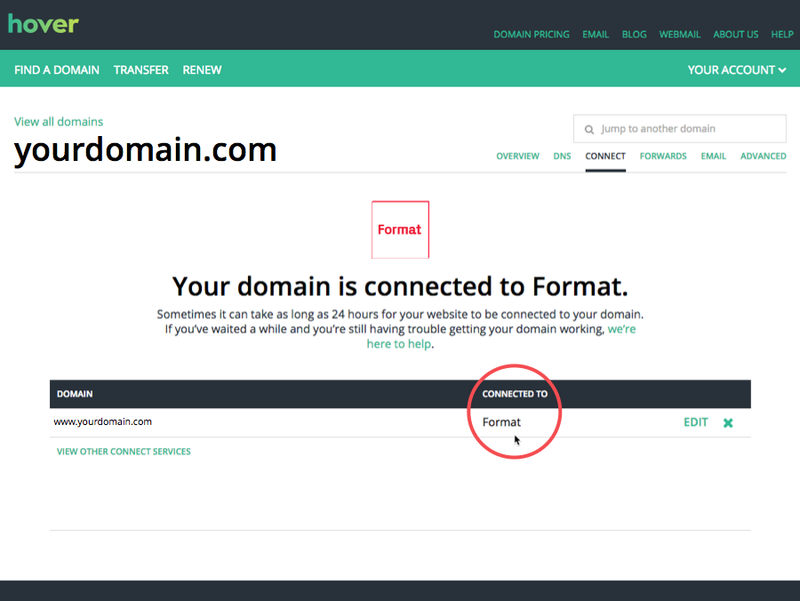 When your Hover domain is set up correctly yourdomain.com will load your Format site with https://www.yourdomain.com showing in the address bar. Throughout this guide mysite, mysite.format.com and yourdomain.com are EXAMPLES ONLY you will replace these with your own unique Format address and custom domain name. 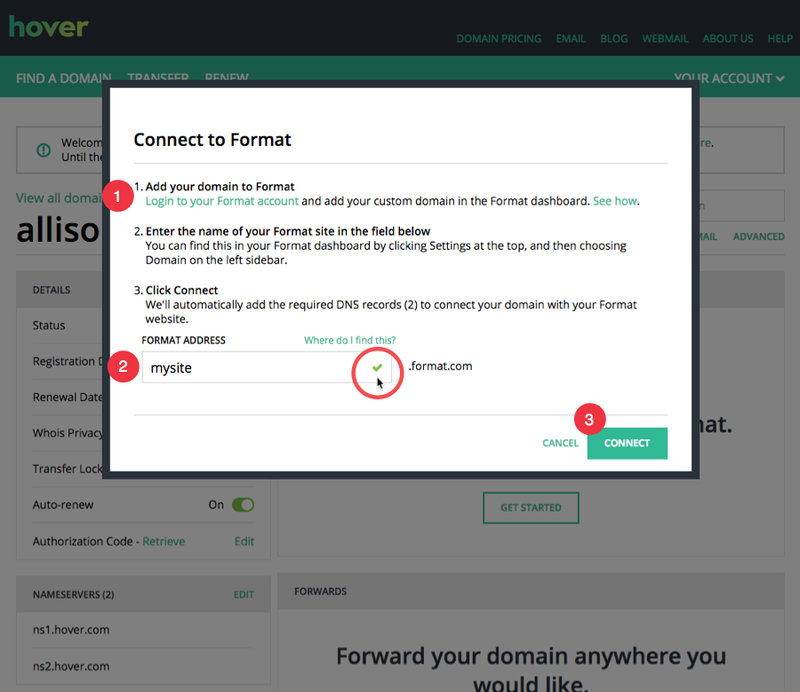 If you have more than one custom domain name registered with Hover.com, select the one you want to connect to your Format site. 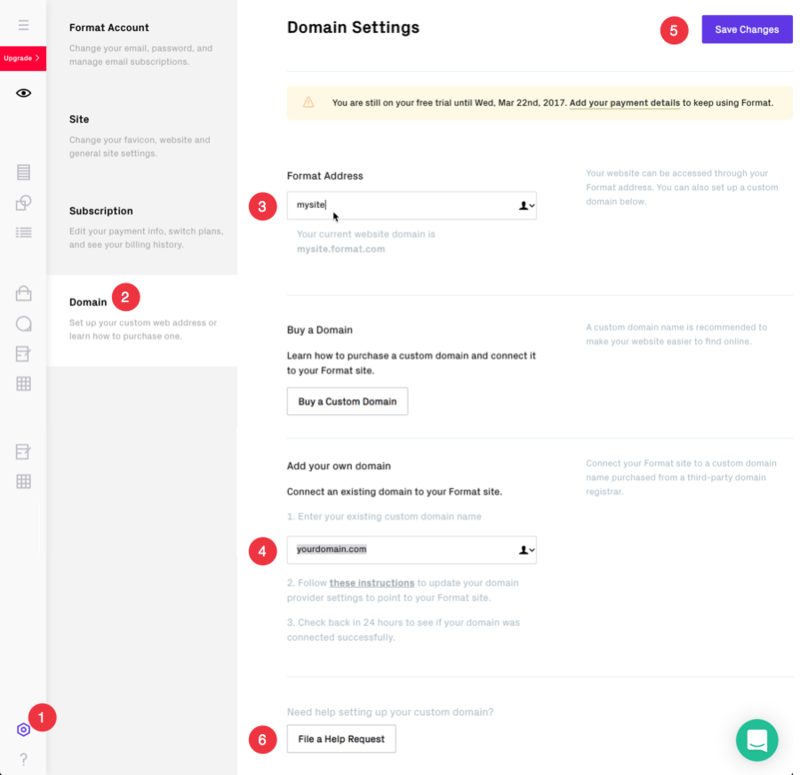 The 'Overview' panel shows general overview of your settings. Check the nameservers are set to ns1.hover.com and ns2.hover.com (this is the default unless you have transferred your domain from another domain registrar). Tap 'Connect' or 'Cancel' to exit. Do not include "http://" at the beginning of the address. Sometimes it can take as long as 24 hours for your website to be connected to your domain. You may feel you have done everything correctly, just as this guide says, but your domain is still not working.